Under more recent amendments to the law, the Justice Ministry can now relegate NGOs to the “foreign agent” list without their consent. As far as the Kremlin is concerned, foreign meddling poses a greater threat to the country than corruption does, analysts said Wednesday, responding to the Justice Ministry's recent decision to deem Transparency International's Russian branch (TI-R) as a "foreign agent." The ministry decision to apply the loaded label to the Moscow-based branch of the respected anti-corruption watchdog was announced Tuesday, about a month after Moscow prosecutors accused the group of having engaged in foreign-sponsored political activity. Specifically, prosecutors complained TI-R was "interfering with the government's policy in its fight against corruption by lobbying for its own proposals to change it," according to a copy of the prosecutor's complaint posted on the watchdog's website. Meanwhile, as the legal drama unfolds against the anti-corruption activists, several high-profile government officials are sitting in Russian detention centers, awaiting their trials on corruption charges. A formal request from The Moscow Times to prosecutors for comment on the TI-R case remained unanswered by press time. The term "foreign agent" has historically been associated with spying in Russia, and thus poses a detriment to the reputations of organizations labeled as such. In July 2012, in the months after President Vladimir Putin started his third term as president of Russia, the State Duma introduced the so-called "foreign agents" law, which required all foreign-funded nongovernmental organizations engaged in loosely defined "political activity" to voluntarily register as "foreign agents," and to label all published material accordingly. Under more recent amendments to the law, the Justice Ministry can now relegate NGOs to the "foreign agent" list without their consent. The Russian branches of various international NGOs, such as Human Rights Watch and Amnesty International, are generally exempt from the law. But TI-R is registered in Russia as a separate legal entity, distinct from its eponymous international organization. 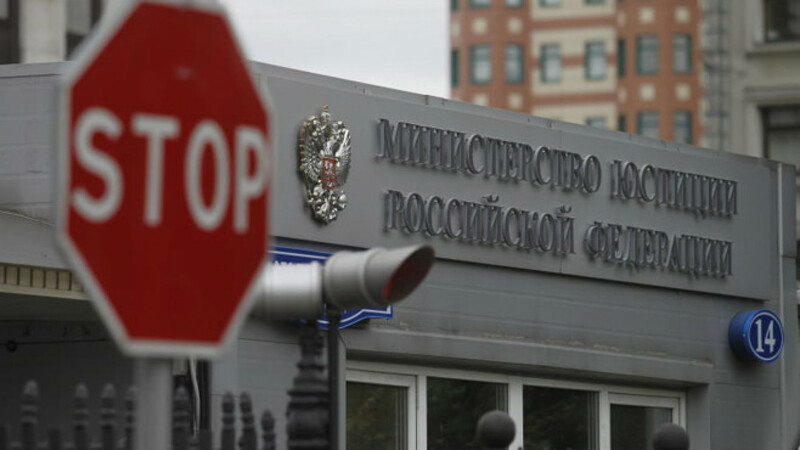 TI-R will appeal the Justice Ministry's decision in court on Thursday, arguing that it is legally baseless, the head of the organization's Russian branch, Yelena Panfilova, told The Moscow Times in a phone interview. "We are not attempting to change state policy; we are attempting to enforce it. In particular, we will focus on this policy within the confines of the National Plan to Counter Corruption for 2014-15, which was signed and endorsed by Putin one year ago," Panfilova said. "There is a paradox here," she said. "If countering corruption is an attempt to change state policy, then state policy becomes corruption." TI-R's workload consists generally of monitoring Russian legislation for issues related to corruption, holding public lectures and conducting research on instances of graft in the country. But benign though these tasks may appear, Russian officials have made clear their concern that profound harm can be done under the auspices of seemingly innocent activities. Speaking at a Federal Security Service (FSB) meeting last March, Putin reiterated his stance that NGOs can be used to rock the boat in Russia. "Western special services continue their attempts at using public, nongovernmental and politicized organizations to pursue their own objectives, primarily to discredit the authorities and destabilize the internal situation in Russia. They are already planning their actions for the upcoming election campaigns of 2016–18," he said, according to a transcript posted on the Kremlin's website. In the same speech, Putin urged officers of the FSB to continue their fight against corruption. "Ensuring economic stability and combatting corruption remain among your priority areas. 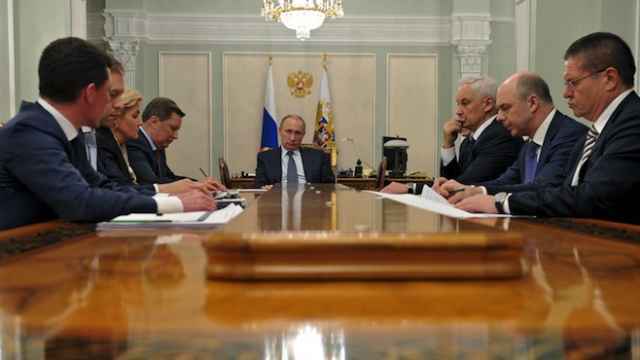 I would like to ask you to pay special attention to cases of misuse and embezzlement of budget funds, including those allocated for the state defense order," Putin said at the meeting. According to Tatyana Stanovaya, a leading analyst at Moscow-based think tank the Center for Political Technologies, the TI-R case has illustrated the extent to which the Kremlin's political concerns can override other key state interests, such as the war on graft. "These are two different strains of logic, and they contradict one other. On the one hand, the state wants to fight those of its enemies that want to destroy the regime by trumpeting anti-corruption rhetoric. On the other, the authorities arrest Sakhalin governor Alexander Khoroshavin, federal prisons chief Alexander Reimer and says that thieves must go to jail," Stanovaya said in a phone interview. Khoroshavin, former governor of the resource-rich Sakhalin region in Russia's Far East, was arrested in early March, on suspicion of having accepted more than $5.6 million in bribes. Russian authorities have seized around $16.4 million in cash, hundreds of pieces of jewelry and even a $600,000 writing pen from Khoroshavin's residences. Reimer, a former director of the Federal Penitentiary Service, was arrested last week on suspicion of embezzling over 2.7 billion rubles ($50 million) that had been allocated for the purchase of electronic tagging bracelets. Both suspects have denied their guilt. Ivan Pavlov, head of the Freedom of Information Fund in St. Petersburg — a transparency advocacy group that is also among the 52 Russian NGOs currently on the Justice Ministry's register of "foreign agents" — likewise spoke about the duality of the authorities' logic. "Putin tells people what they want to hear. He tells FSB officers they need to fight NGOs. If he were speaking before the Presidential Council for Civil Society and Human Rights, he would say that independent NGOs are important," Pavlov told The Moscow Times in a phone interview. Following its appearance on the "foreign agents" list, Pavlov's organization — which focuses on the availability of information provided by state institutions — took to the Russian courts to appeal the decision, and changed its legal structure. At present, the organization's staff is operating under the name Team-29, which is not registered as a legal entity and is thus not subject to the law. "The main challenge is simply continuing doing our work. This whole 'foreign agents' law story was created by the government mostly to paralyze the work of organizations critical of the authorities," he said. Konstantin Kostin, head of the Civil Society Development Foundation and former top official in the Kremlin administration, said that branding an NGO as a "foreign agent" by law is not on par with banning the organization's activities. It is simply a label, he emphasized. He noted that the United States passed in May of last year the so-called Russian Aggression Prevention Act, which orders the Secretary of State to "increase efforts directly or through nongovernmental organizations to improve democratic governance, transparency, accountability, rule of law, and anti-corruption efforts in the countries of former Soviet Union," according to its text on the U.S. Congress' website. "The U.S. has declared on a legislative level that NGOs are an instrument that can be used to influence Russia, so of course the Kremlin is concerned about it," he told The Moscow Times in a phone interview.